Happy 2013! Yes it’s time to put down the chocolate, de-glitter and return to a reality that doesn’t involve a glass of bubbly around every corner. But I’m determined shake off the post-Christmas slump by trying something new. And not some painful unmanageable resolution like a strict diet or daily gym regime, but something fun, exciting and energising. You don’t have to slog it out at the gym in 2013 to have a happier, healthier you. We’ll be flying high at one of Ariel Edge’s intriguing aerial, circus skills or trapeze classes. Available for a variety of ages and abilities – even if you have spaghetti arms like us. 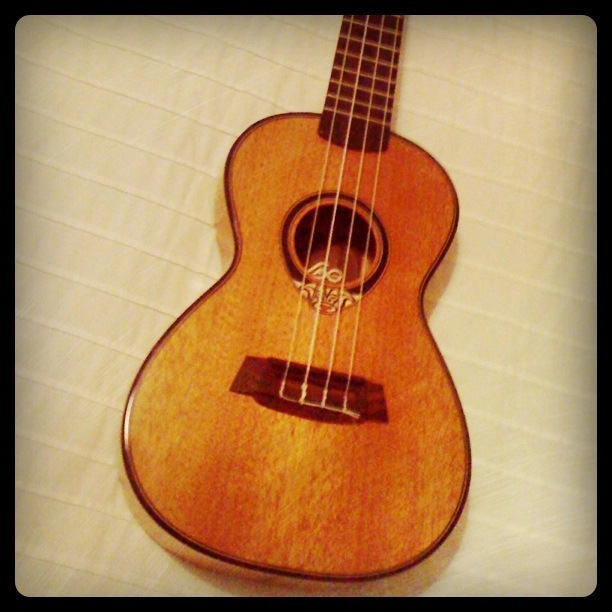 Get in touch with your inner muso and pick up that instrument (ahem ukulele) that you’ve always dreamed of playing. Need a little motivation – after you get into the groove, aim to join one of Glasgow’s most welcoming weekly jam sessions with Blochestra at Bar Bloc. All instruments welcome. If you feel you’ve always had something to say, then why not sing about it with one of Glasgow’s many choirs – and if you’re thinking boring hymns, think again because choruses like The Arches (Thursdays 7-9pm) and The Power Cut Choir (Tuesdays 7-9pm) are eclectic, unconventional and ready to give you a charge. Hooray for the new hymnals of Blur, Erasure and the Talking Heads. Singing not your thing but love to talk – what about in another language? Expand your vocabulary at a language course. You can sprechen Deutsch at the Goethe-Institut or parlez Français at the Alliance Française. Put your dazzling looks to good use and strut your sensational self at the Glasgow School of Art’s fashion show. But don’t delay; model show additions are happening today at GSA noon – 5:30pm – new and experienced cat-walkers welcomed. You must be available between 4-6 March. Whatever you do, have fun and enjoy every moment of the New Year – because time truly flies…sometimes on a trapeze.